My Creative Existence: Introducing Inkurable Artistry! It's been a long time between posts! 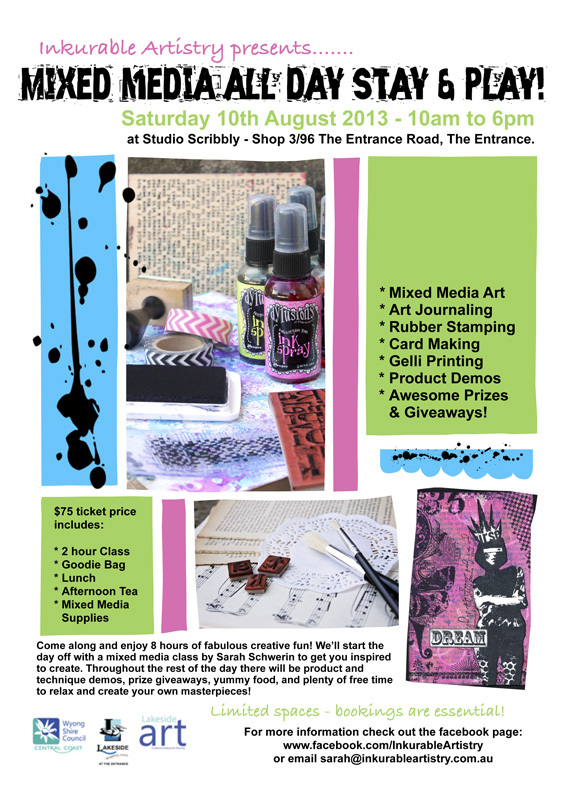 Lots of exciting things have been happening behind the scenes - and I am excited to announce my new venture - Inkurable Artistry - focusing on Mixed Media, Rubber Stamping, Card Making and Art Journaling - and the most exciting part - an online store coming very soon!! For now, you can stay up to date with all my upcoming classes, as well as special events that I'm hosting, by checking out the Inkurable Artistry Facebook page. 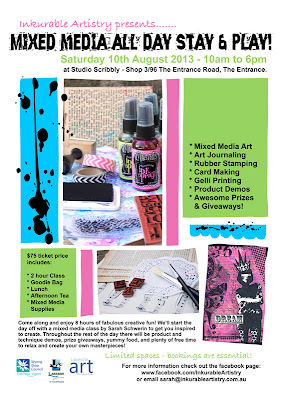 Speaking of events, if you love mixed media and you live on or near The Central Coast NSW you may be interested in attending my Mixed Media All Day Stay and Play event on Saturday August 10th 2013! It promises to be a fabulously creative, messy, fun day! Spaces are limited and bookings are essential.